If you do not want or cannot use a bird cage, you can use another object as a metaphor for where you stand at this moment in your life. Recreating a painting can also mean the reinterpretation of its original message. During the years around 1820, C.W. Eckersberg was busy painting portraits of the affluent citizens of Copenhagen. In one of the two works he painted Bella and Hanna Nathanson in a sparingly furnished drawing room with simple panelling and furniture, including a table bearing a parrot’s cage. The parrot opens up the scene to symbolic readings. 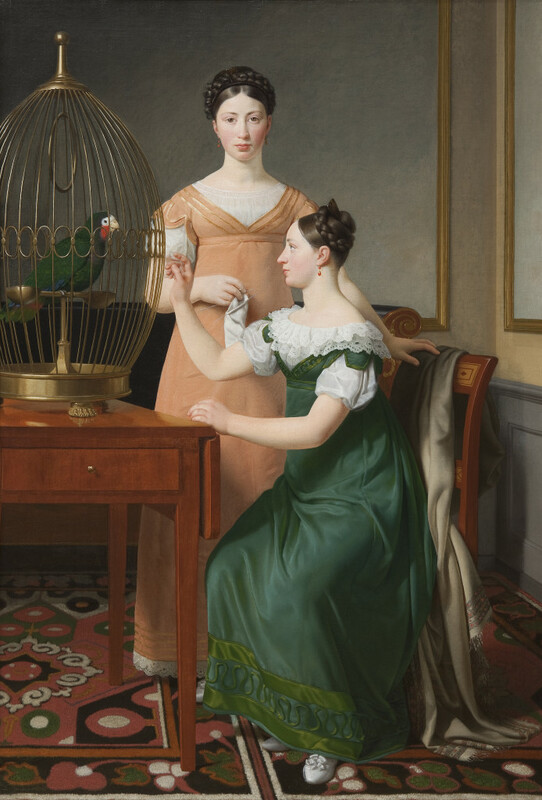 Due to their ability to imitate human voices parrots were often seen as symbols of good breeding, a suitable allusion for a picture of two young middle-class woman. At the same time, however, the caged bird can also be regarded as a metaphor for the two unmarried women’s sheltered situation while waiting – perhaps longing? – to move out into real life.